The left ventricular function follows its form. The uniqueness of its myofiber arrangement defines its unique function. As implied in the previous chapter, its inflow and outflow are literally continuous, making the filling and ejection of blood bidirectional through literally two orifices which are in anatomical continuity. For this to occur, the left ventricle has to adopt a “wringing” effect of torsion in clockwise and counterclockwise directions. This is an evolutionary adaptation to assumption of the erect posture by man. The function of torsion during systole and diastole is mediated by the oblique myocardial fibers which are unique to the left ventricle. In this chapter, we discuss the patterns of ventricular systole and diastole throughout the cardiac cycle. This understanding is crucial to grasp the perturbations occurring in heart failure, in modulating the therapies for amelioration of the same. With permission from Adhyapak SM and Parachuri VR. 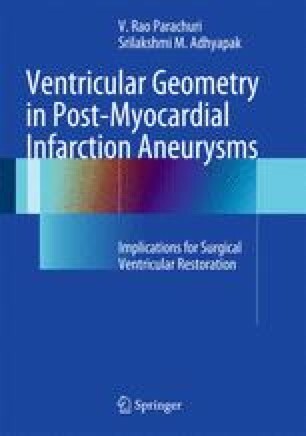 Architecture of the left ventricle: insights for optimal surgical ventricular restoration. Heart Failure Reviews 2010;15(1):73–83. Copyright Springer Science+ Business Media.